Scientists are warning that the world is on the cusp of the “post-antibiotic era,” where bacteria will be more and more often resistant to antibiotics. There are two main causes of antibiotic resistance: feeding animals a diet laced with antibiotics to prevent illness as well as human abuses of antibiotics. When polled, only about one third of respondents reported knowing that if you take a course of antibiotics, you must finish the course. Failing to do so can cause the bacteria making you sick to resist than antibiotic and infect other people. Already antibiotic-resistant STDs are a problem. Personally, I’ve been lucky. I don’t go to the doctor to get an antibiotic unless I absolutely need one. The last time I took an antibiotic was in 2007. Eight years is a pretty good run. I avoided needing to by, for starters, not freaking out every time I got sick, and by turning to some natural remedies. Of course, as I always recommend, don’t be stupid. If you have an infection that your body can’t fight off with its immune system and natural remedies alone, go to your doctor. Go to your doctor. Get the medicine you need in order to be healthy again. These are some of the natural antibiotics I’ve used over the past few years. Garlic is simply my favorite food, and it turns out, people have used it for thousands of years to treat illnesses. Garlic contains a chemical called Allicin, which gives it its powerful smell. Allicin is also an effective antibiotic and antiviral chemical. One study found that the Allicin in garlic reduces the risk of catching a cold by 64% and if a cold is caught, the symptoms were reduced by 70%. Of course, more studies are needed, but it’s a promising insight into this natural remedy. Horseradish has been shown to be a somewhat effective antibiotic, effective against sinus, intestinal, bladder, and skin infections. It has a high sulfur content which probably contributes to its antibiotic nature. It’s theorized that it can also expel parasites from the body, though there’s little evidence of this. Onions have been used for centuries to reduce inflammation and heal infections. Onions contain a compound called quercetin which scavenges free radicals in the body. Onions also improve how well vitamin C is bioabsorbed in the body, thus strengthening the immune system’s response to infection. Ginger, like garlic, tops my list of favorite foods. Phenolic compounds like gingerols and shogaols in the root increase movement in the gastrointestinal tract and can even work as a mild anti-inflammatory and antibacterial agent. Put your Tobasco sauce away and buckle your seatbelt. 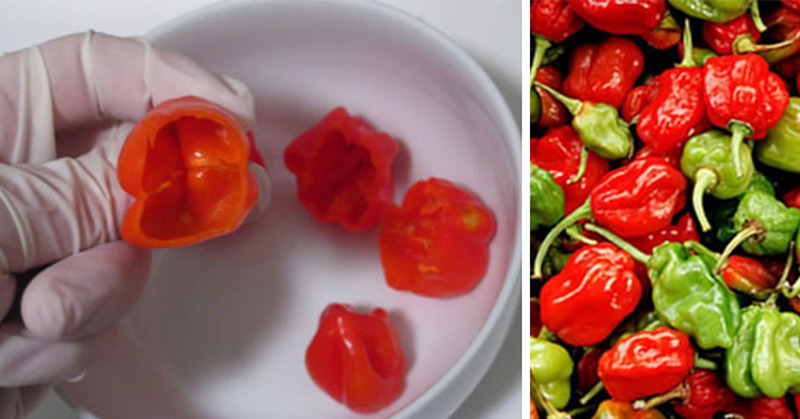 Habaneros are one of the spiciest peppers on the planet. Habaneros, like many hot peppers, contain a high quantities of capsaicin, which stimulates blood flow and helps relieve congestion in the sinuses due to sinus infection. They are also high in vitamin C.